Looking for the perfect way to kick off summer? Kickball, bands, beer, and barbeque; how can you go wrong? Volume One and Leinie’s present the Rock-n-Roll Kickball Classic for its second year! The atmosphere is phenomenal with live music from some of the area’s best acts, plus a national headliner. Whether you’re playing in the tournament or not – this party has plenty. Friday starts out with the booze-fueled jazz/blues of Dead Dogs, and Brass Monkey follows with a classic mixtape that deserved them the title of “Best Cover Band” in V1’s 2010 Best Of poll. Saturday kicks off with Duncan Ninja, a funk group with suave singers, hot horns, and a ripe rhythm section. Brian Bethke Band follows with a diverse crew that brings Bethke’s originals to life. 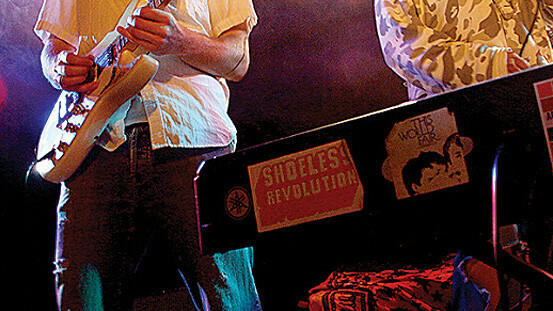 New rockers The Perennials come next with a roster of familiar faces from local bands past and present. Following them is South Farwell playing one of their Eau Claire sets before moving to Nashville. Then it’s EverGreen Grass Band’s awesome mixture of rock and bluegrass taking center stage. Headlining the event, playing the finale on Saturday evening, is Roster McCabe with their fun and unique sound that fuses reggae, funk, and guitar-rock to bring you a truly innovative experience. Aside from the obvious fun and competition a kickball tournament brings, we have an additional feature this year. A Summer Sports Expo will be held on Saturday from noon to 5pm. Local organizations will be on hand to provide info on summer recreation opportunities throughout the area. Not only do you have kickball to watch and bands to hear, but the opportunity to play Kubb and beanbag toss, plus throw down some Toppers and Famous Dave’s. There’s even a kids playground. So get out to Cinder City Park in Altoona, Friday, May 27 and Saturday, May 28 and pick a team to root for; be sure to mention that team on your way in the gate and with every drink you buy, you just might be the swaying vote in the race for the coveted Fan Trophy and Consumption Cup!